We have our own Vineyard & Winery, so we understand your concerns, about having someone else bottle your prized wines. 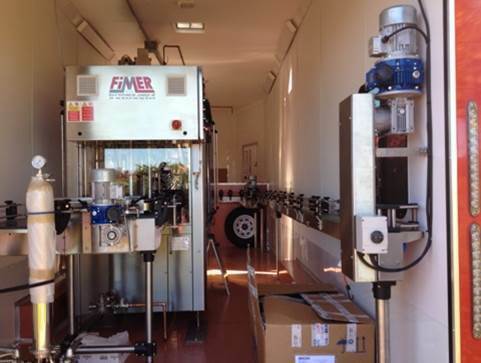 We will focus our Mobile Bottling Line to serve your needs. 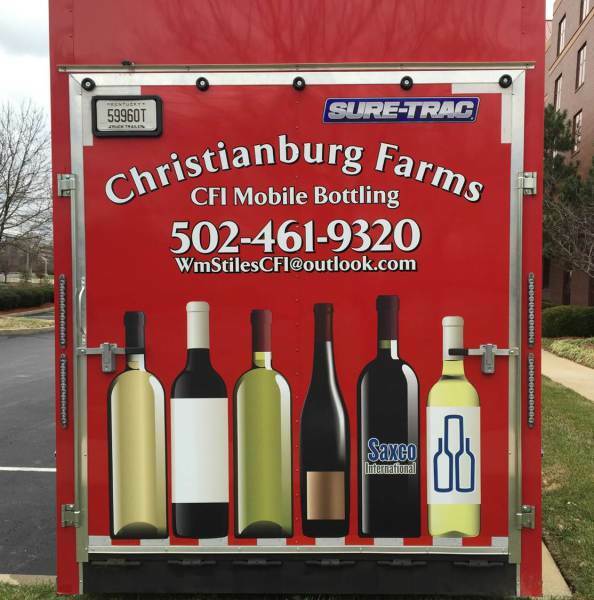 We will bottle for the 75+ Wineries in Kentucky, as well as the 500+ Wineries in the surrounding states. We bottle wine, but can bottle spirits that are 25% Alcohol or less. 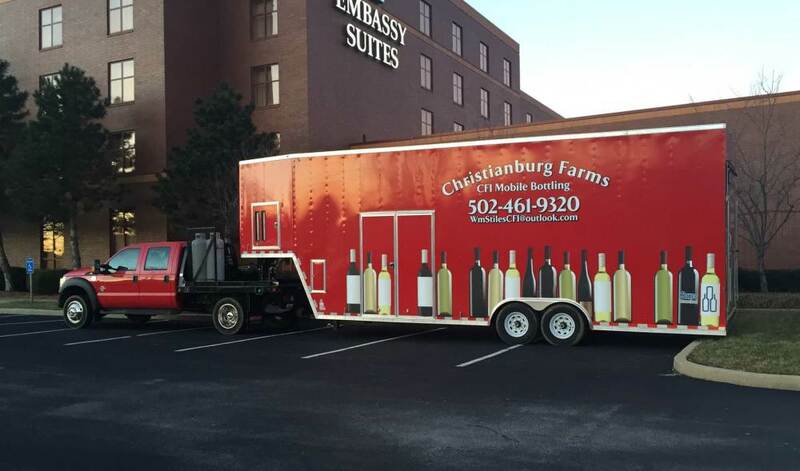 Our Mobile Bottling Unit is the 1st in Kentucky, however, this concept is big business in California, with several companies that serve the “Estate Wineries” of the west coast. Our Bottling Manager is an experienced Packaging Engineer, with more than 20 years of beverage alcohol packaging. I also have over 40 years in Packaging, working for several of the world’s largest spirits and wine companies. The wine maker can choose between a number of corks, Natural, 1+1, Micro agglomerate, or synthetic corks. 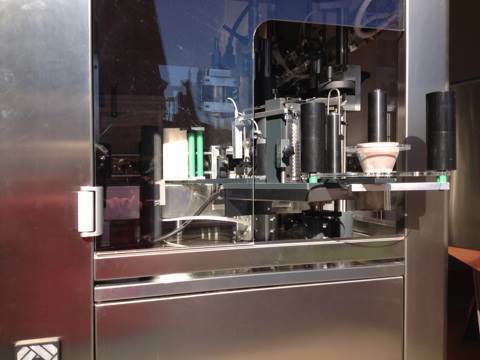 We can apply either a shrink capsule or a Poly-lam spin-on capsule over the cork. We apply face and back Pressure Sensitive (PS) labels to each bottle, note labels must meet our equipment requirements. The bottling line ends with an inspection station, of each bottle as these are hand packed. 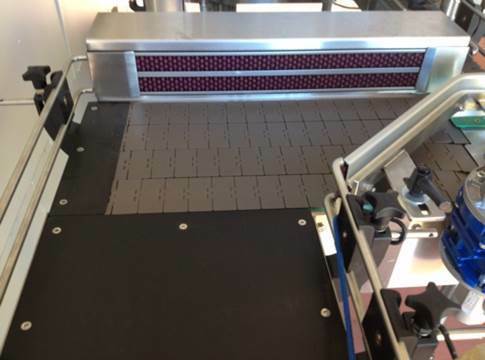 Finally cases go through a conveyor & case sealer. 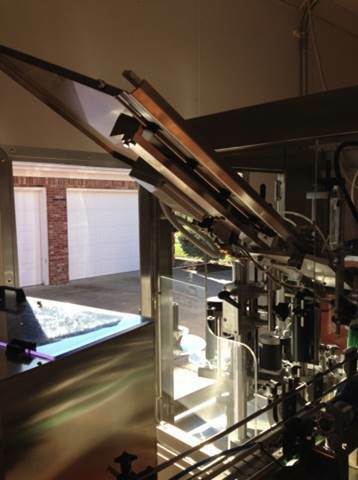 We have a complete Bottling Line, with all the required support equipment. We have a 30 KW Generator (for use in Kentucky only) to supply both 3-Phase and single phase electric power to operate the entire trailer and bottling line as well as the support equipment. This type of power may not available at most small farm winery. Also, a 30 CFM air compressor, Hydraulic unit, LP gas fired instant hot water (up to 185 degree) for wash-outs, a diaphragm pump, twin cartridge filers and hoses. We can bottle 500 cases of 12 x 750ml in an 8-hour day. 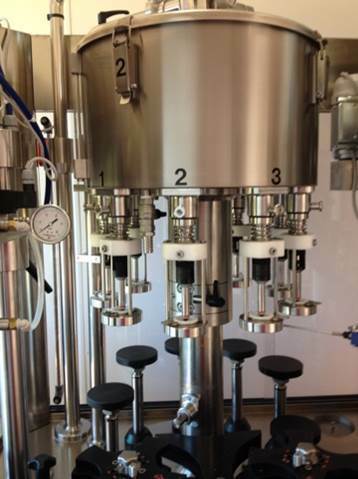 We are now scheduling appointments to review how we can best help each winery with their bottling needs. 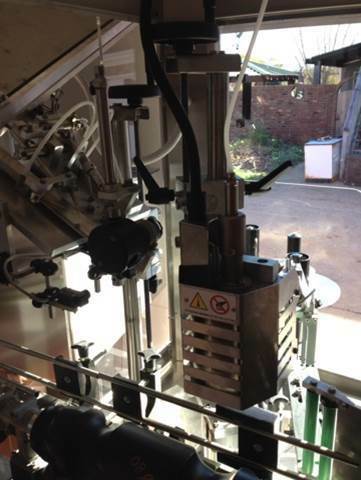 Allow, 2 to 6 weeks lead time to arrange all the bottling materials, to prepare for the 1st Bottling. The winery is responsible for the LP gas and Nitrogen. The cost for this service is basically $3.00 per case (12 x 750ml), based on a 500 case minimum, however, talk to us about your needs. There are No Mileage fees, in Kentucky, or the nearby states. If you provide the electric power, & /or the compressed air you will receive a discount. The winery must supply; the wine as a final “ready to bottle” product, three (3) specific workers, packaging materials, clean water (at least 3 gallons per minute) and the cartridge filters. We will also provide a quotation for the all package materials, (except PS Labels) so the winery can use our bottles or another supplier’s wine bottles. As long as all package materials fit our equipment. We may require bottle drawings and a case of samples each bottle, Corks, capsules PS labels to confirm proper equipment fit. This is our short and concise story, to review your needs, we will take a little longer to cover all the details, listen to your needs, customized a plan to fill for you. Tastings by appointment only at this time. Please call to setup your tasting and tour.